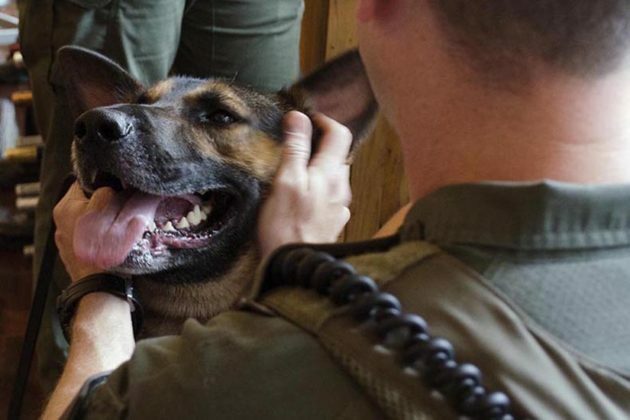 Arlington County Patrol Dog Duke receives attention from Arlington County K9 officers. 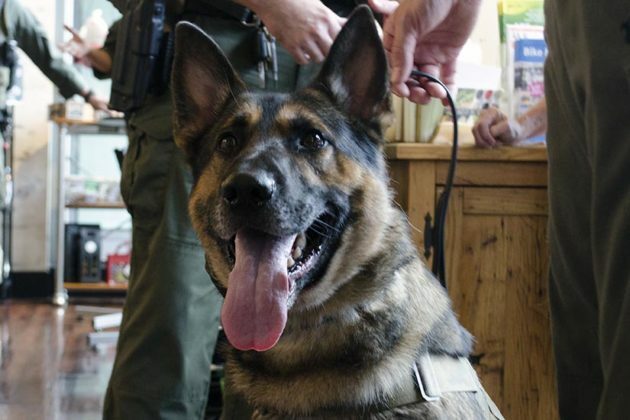 A store in Courthouse hosted some special four-legged guests Wednesday afternoon. 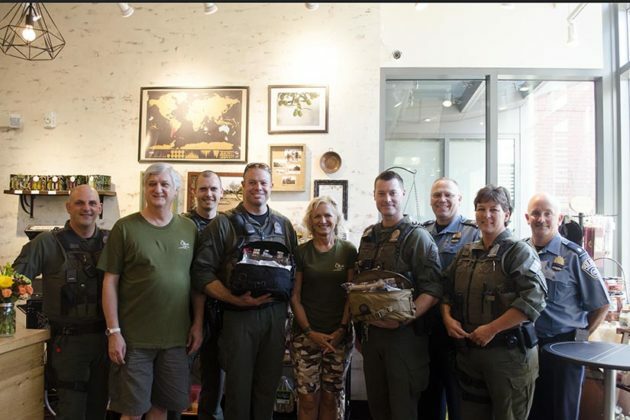 Members of the Arlington County Police Department K9 unit — both dogs and handlers — stopped by Olive Oil Boom (2016 Wilson Blvd) to accept a donation from the store. 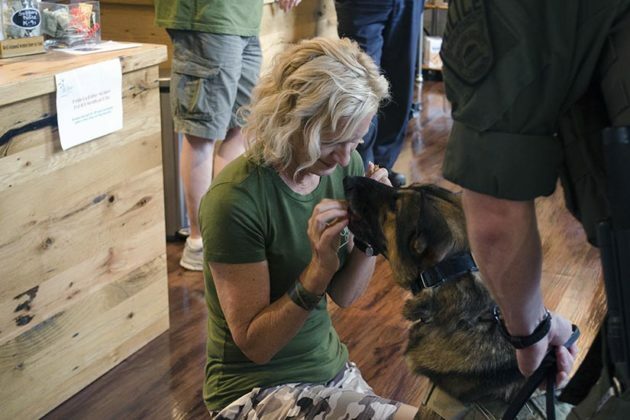 The shop, which specializes in olive oils and vinegars, raised money to purchase two K9 medical kits. The equipment in the medical kits are “meant [to be used] in case of a traumatic injury or heat stroke,” said ACPD Sgt. Bryan Morrison. 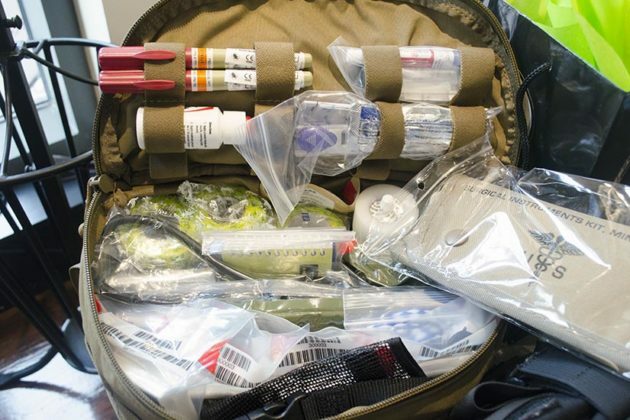 One medical kit will be used on site for training and one will be taken out into the field. 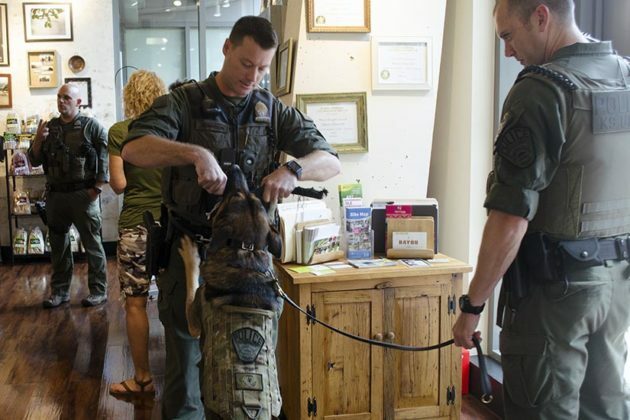 The kits will allow officers to treat the dogs quickly and get them to an emergency vet. “There is so much stuff in there and it’s a great benefit to our unit because they are a bit expensive and we are not afforded the opportunity to buy these. 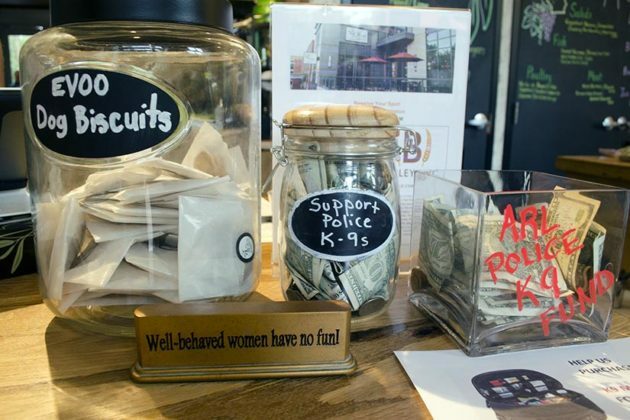 For somebody to donate them to us, it’s really great,” said Morrison.